When I first decided to start up my blog again I knew I wanted to designate one day to true crime posts. (Hey—I had to find some way of justifying my addiction to the unsolved/unresolved missing persons and cold cases, right?) For today’s post I had originally planned to talk about Kyle Fleischmann, a young man who disappeared in Charlotte, N.C. in 2007, but after I saw a new program scheduled to run on the Oxygen channel this weekend titled “The Disappearance of Maura Murray,” I changed my plans. For those not familiar with the case, on the night of Feb. 9, 2004, Maura Murray e-mailed her college professors at the University of Massachusetts at Amherst and employers and told them she needed to take a week off due to a death in her family. (This was later determined to be a lie). She researched renting a condominium in the mountains of New Hampshire. She left campus, withdrew most of the money in her bank account from an ATM, purchased alcohol at a liquor store, including a box of wine, and drove to Haverhill, New Hampshire, a few hours away. She crashed her car on a country road there around 7 p.m.
A school bus driver stopped to ask her if she needed help on his way home but she said, no, she had already called AAA for help. He drove to his home just a few houses away and placed a call to police. He doubted her story because the area had no cell service whatsoever. By the time police arrived around 15 minutes later, there was no sign of Maura. Some of her possessions were found in the car, along with an empty bottle that appeared to have residual wine in it and the smashed up box of wine she had purchased at the liquor store. Her debit and credit cards and cell phone were missing. Maura was never seen again. I’ve listed to a few episodes of the Missing Maura Murray podcast , produced by Tim Pilleri and Lance Reenstierna, where they discuss different theories out there about Maura’s disappearance as well as a detailed timeline of the events leading up to the night she went missing. James Renner is another journalist who has a blog devoted to this case, My Search for Maura Murray, as well as a nonfiction book titled True Crime Addict: How I Lost Myself in the Mysterious Disappearance of Maura Murray. I think people are fascinated with Maura’s case because on the surface, she looked like she had everything going for her. She was young, beautiful, athletic, intelligent, studying for a promising career in nursing. But Maura’s story goes much deeper than that. Scratch the surface a bit and secrets would be revealed, one by one. So many secrets and transgressions that when added up, could result in a person wanting to run away, disappear, or take their own life rather than be exposed. Some of those secrets (from what I’ve been able to glean from news articles, podcasts, and television broadcasts of the case) are that Maura had been asked to leave West Point Academy, which she originally attended after graduating from high school, for an honor code violation. She transferred to the University of Massachusetts at Amherst to study nursing. While there, she got into trouble for using the credit card of someone who lived in her dorm to order food from a local restaurant. The day before she disappeared, she crashed her father’s brand-new car near campus around 3:30 a.m., causing a lot of damage. The next day, she put most of her belongings in boxes in her dorm room, e-mailed professors and her employer for the time off, researched condos in the mountains of New Hampshire and Vermont, and drove away. Then she crashed her car again around 7 p.m. that night. How could this girl not be scared that her world was caving in? Some people theorize that a local resident snatched Maura as she stood outside of her car wondering how she was going to get out her second car accident in two days. Me? Personally I believe she panicked because she was probably going to get a D.U.I., and that, along with the rest of her troubles, was too much for her to handle. She probably grabbed what she needed and took off into the woods before police could arrive. She could have gotten disoriented in the woods and succumbed to the elements. I don’t really believe any of the theories that she faked her own disappearance and is living in Canada somewhere. It seems a little too far fetched to me. But, who knows? I could be wrong. Do you have any theories about what could have happened to Maura Murray? 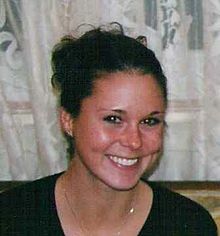 Have you watched “The Disappearance of Maura Murray” or followed any of the blogs? Do you think the case will be cracked anytime soon?